None of John Ford's films is like The Searchers (1956). I have seen it six or seven times over the years and it is the only one of his films which I have to struggle with. The Searchers is very good, and therefore it is a struggle since some aspects of it gets in the way. Ford made some bad films but there is no need to struggle with them, they are just not that good, but that is not the case here. What is part annoying, part thrilling, is that The Searchers feels like it is bursting at its seams, that Ford has problem with keeping the film contained, that it sometimes feels like two films. There is the dark tragedy and there are the almost parodic scenes, like those involving the young cavalry lieutenant towards the end. For every close-up of the hardened and mournful Ethan Edwards there are scenes of misplaced comedy. It is not that there should be no humour, only that I feel the balance is off. The scene when Martin kicks Look, his Indian "wife", out of bed is an example of a jarring scene which is played for humour but is not funny at all. What is more, sometimes Ford's attention to a scene seems to be missing, which adds to the feeling that there are two films going on simultaneously. The scene when Revered Captain Clayton sees Martha lovingly caress Ethan's coat is beautiful and perfect, Ford is really there. But some scene feels much less assured. Particularly so the scene towards the end when Ethan lifts up his niece and says "Let's go home Debbie!" It feels like a let-down. Not because of what happens in it but because of the casual way it is shot, almost like a throwaway scene, when it should be a key scene in the film. Ford's heart does not seem to be in it. Another problem I have are with some of the actors. More specific, the younger actors. Jeffrey Hunter does not in the least feel like he belongs in the West, he looks too much like a contemporary teenage heartthrob, and his acting leaves something to be desired. He has his good moments, but they are not consistent. The girls Pippa Scott, Lana Wood and Natalie Wood are not good here either, they look and sound too much like they had just walked off the set of a Ross Hunter-produced melodrama. Here too much suspension of disbelief is required for me to fully be swept away by the film. On the other hand, John Wayne is extraordinary powerful. I find its weaknesses so annoying because the film is often brilliant, and pushes deeper than many films, and the flaws that it has need not be there, because Ford is better than this. All of his best films are marvellously sustained and contained, and there is nothing that aggravates me in, say, They Were Expendable (1945), My Darling Clementine (1946) or the cavalry trilogy, except that politically Rio Grande (1950) is a step in the wrong direction after its more progressive precursors. There are scenes and individual shots in The Searchers that are among the best in Ford's oeuvre, which is another way of saying that they are among the best in cinema history. You might say that those should be enough, and I should just not let the other things get to me. But I want perfection, and Ford should have been able to deliver it. He has proven many times he has the capacity. There is a lot more to be said about The Searchers of course, this was just to point out a few issues I have with it. Do you wanna dance? Or do you wanna dance? Dancing. There is nothing quite like it. It can be a celebration of being alive and being in love, or it can be a chance to touch and talk to somebody you otherwise are not able to see, or even allowed to talk to. There are many great dance numbers in film history, I could devote the rest of the year with examples. I am not going to do that, but here at least are some favourite sequences. We move quickly from Kelly's lessons to John Travolta going solo in Saturday Night Fever (1977). Next is a regimental dance from Fort Apache (1948), with Henry Fonda as a stiff dancer. The peasant dance sequence from Sunrise (1927) works better as part of the whole film, but here it is any way. They are new in the big city, not used to its ways, and he does not want to be reminded that he is a peasant. But he surrenders. With George O'Brien and Janet Gaynor. Here there is no shame, just wordless grace. Cyd Charisse and Fred Astaire in The Band Wagon (1953). Now more black and white, yet a more recent film, Sally Potter's The Tango Lesson (1997). Pablo Verón dancing his way through cooking. It is not unusual for there to be dancing in Patrice Leconte's films. Here Jean Rochefort dances, to a Pakistani song, in The Hairdresser's Husband (1990). Back to colour and Fred Astaire, this time a scene from Royal Wedding (1951). He is not letting the laws of physics get in the way of a good number. Some feeling. Finally, the full ballet of the Red Shoes from The Red Shoes (1948). It does not get any better than this. Saudi Arabia does not have any cinemas, and its first full length fiction film, Keif al Hal, was made as late as 2006. It was not shot in the Kingdom however, but in Dubai. The same year Shadow of Silence (Dhilal al sammt) was also made, and in 2007 came the horror film Al Qaryah Al Manseyyah. Wadjda, which premièred at the Venice Film Festival last year and has just began its world tour, is an even more remarkable milestone. Not only is it the first Saudi film which is made entirely on Saudi soil (in a suburb of Riyadh) but it is also written and directed by a woman, Haifaa al Mansour. Wadjda is the name of the main character, a 10-year-old girl who goes to school, plays with the boy next door and dreams about a green bicycle. All of these things cause problems. She is not happy at the strict, conservative school, she upsets her mother by being home alone with the boy and everybody says that girls should not ride bicycles. The owner of the bicycle store and her friend are the only ones who are supportive. The film is also about her mother, whose husband is considering leaving her. After she gave birth to Wadjda she became infertile (or in some way reproductively challenged) so she cannot give birth to a son, which the husband wants. Besides these major plot lines, the film shows in all sorts of ways, big and small, how the lives of women are restricted and controlled, and how they can neither move nor speak freely. Saudi Arabia is after all one of the most repressive countries in the world, for both men and women, with the women having a particularly hard time. A movement have just begun that is challenging the laws banning women from driving cars, and although Wadjda is too young to be wanting a car it is probable that she will be rebelling against that too, when she gets older. Stylistically the film is rather mundane, low-key and natural. The acting feels somewhat restrained, inhibited. I do not know if this is because of difference in acting style or directorial intentions but the adults did not feel really at ease, with the exception of Reem Abdullah who plays the mother. Waad Mohammed, who plays Wadjda, and Abdullrahman Al Gohani who plays her friend Abdullah, are excellent, and really moving. Wadjda is an inspiring girl, very active and cunning almost Machiavellian in the way she deals with people in order to get what she wants. She uses smiles, flattery, bribes and deception to get ahead, and with a lot of pluck, but usually without malice. She just is very good at playing people, and she needs these skills. She is also fortunate in having loving and well-off parents, even though the father is absent almost all the time. One of the ways in which Wadjda is trying to earn some money is by making and selling thread bracelets. In one scene she and her mother has gone to a posh mall. She walks up to a man selling such bracelets and wonders if he would sell hers. The man says that he gets his from China, that this is cheaper than if he were to get them locally made, a telling image of this brave new world. Wadjda is al Mansour's first full length film, previously she has made a number of short films nad it is a co-production between the local company Rotana Studios (who also produced Keif Al Hal), German companies and money from Abu Dhabi. It was not easy to make the film for al Mansour, and being a woman she had to direct the scenes taking place outdoors from a car, and talking to the men in the team through a walkie-talkie. But it got made, and it is a beautiful film, sweet as well as angry. Considering today is International Women's Day I thought I highlight some women filmmakers. That will be enough for now. Usually I do not like to single out filmmakers based on gender, or discuss cinema in this way, but I made an exception today. I often hear complains about the lack of female role models for women who want to make films. That is nonsense. These 11 are just a tip of an iceberg. Previously I have written about Maya Deren (here) and Nora Ephron (here, here and here). "There are other fine touches in Pitt. Less intricately developed but equally memorable is the housekeeper's intrusion into one of Pitt's late-nights labours over the affairs of state with a veal pie that she insists he eat. In an American film of this era, the food would be nondescript." Pitt is short for Reed's great film The Young Mr Pitt (1942), and the moral of Moss's argument is, I suppose, that the brilliance of this scene is emphasised by comparing it to American cinema at the time. Let us for a moment disregard the implausible implication that in no American film of the 1940s is it specified what kind of food is eaten, while ponder if Moss has actually watched all American films to clarify the state of the food in them, and then instead ask ourselves "Why is this relevant?" The Young Mr Pitt is a British film and would more appropriately be compared to British cinema in order to extract any particular unique features it might have. Are food specified in other British films of that era? If they are it could rather be seen as a British filmmaking convention. Whether or not it says anything about Reed will not depend on it being different from Hollywood but rather on it being different from British cinema. Maybe the audience at the time was thinking "Why do all British films always have to describe what kind of food is eaten? Enough with the food already!" Reed would then perhaps have been a more interesting and imaginative director by leaving it a mystery what food was eaten. In the recent edited collection A Companion to Michael Haneke many contributors talk at length about how Haneke is different from Hollywood, which for some seems to be his defining feature. 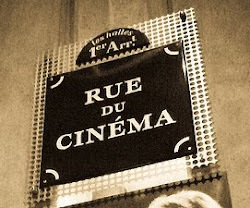 The other day I received a call for papers for an edited collection about "slow cinema", something that allegedly has emerged over the last decade as a new form of filmmaking. Example of this was films by Nuri Bilge Ceylan, Pedro Costa and Apichatpong Weerasethakul and then, of course, it was suggested that this new form was a reaction against recent Hollywood cinema. In Michelangelo Antonioni - the Complete Works there are plenty of comments about postwar European cinema being complex and nuanced, unlike Hollywood cinema which was apparently all simplistic fables, and more specifically about Antonioni that he was "abandoning the rules", for example that his films had longer and fewer shots than "the average Hollywood film of the time", and that his uses of colour are different from the "pleasantly reassuring saturated Technicolor of The Wizard of Oz (1939) or The Sound of Music (1965)". Besides it being of questionable historic value to compare everything to Hollywood films I think it is to belittle non-American filmmakers when the very fact that they are not American filmmakers is used as an argument as to be why they are good and important. Nuri Bilge Ceylan is about as good as any filmmaker working today, but not because he is part of some "slow cinema" movement which may or may not be a reaction against Hollywood. There are plenty of talentless hacks from Sweden, France, South Korea, or any other country, that make films that are different from Hollywood but they are still talentless hacks without originality or cinematic intelligence. Any potential difference between them and Michael Bay is irrelevant. So, in short, using Hollywood as a norm and all else as deviations from this norm, is very unsatisfactory. Not least because it is unhistorical, both of Hollywood (which is very far from the monolith these comparisons suggests) and of other filmmaking traditions. It does not enhance understanding, it is often self-congratulatory and should preferably be avoided. Not least because films made out of Hollywood deserve better than to be regarded as exceptions to a made-up norm. In fairness to the editors who sent out the CFP about "slow cinema" I should say that they wanted to look beyond the idea that it was just a reaction against Hollywood. 2013-03-03. I was unsatisfied with the original post so I edited it today.